Toll free, local or vanity fax number. Additional fax #'s $4.99/month. Send and receive faxes on your PC, via email, or with the mobile app. Broadcast faxes to multiple people. Try RingCentral Fax FREE for 30 days. Keep your fax number and transfer it to your Nextiva vFAX account. Send and receive faxes instantly with your mobile phone. Start your Nextiva Fax Free trial. Eliminate the cost and inconvenience of fax machines and phone lines, even as your customers continue to send and receive faxes in their customary way. Your fax pages are delivered as a PDF document that you can print or save. All of the above online fax services include the following features: Send faxes to multiple recipients, auto re-send, receive faxes in multiple email accounts, Microsoft Outlook integration, SSL encryption. Faxes might seem obsolete with the onslaught of today’s technology and the use of scanning and emailing, but there are still certain needs for fax services. The good news is that you do not need a bulky fax machine taking up space in your office any more, online fax services are just as effective, yet much more efficient because there are no machines to maintain or learn to use. Faxing online is simple as long as you have a computer and internet service. Companies everywhere are employing the use of faxing online as it saves them time, money, and is friendlier on the environment. Online fax services are conducted through your email account. First you must sign up with a provider of emailed fax services. There are numerous companies that offer this service in a wide variety of price ranges and abilities. For small businesses that just want to try the service out, many companies offer free emailed fax services, but you are restricted to around 5 faxes per month. For larger businesses that need to jump right into being able to fax all of the time, there are much larger packages that enable you to send hundreds of faxes per month for a set price. Once you sign up, you will be provided with a dedicated fax number; if you already have a number that you want to keep, many services allow you to port your number as well. In order to send a fax via the internet, you simply scan your document or create it in a word processing software program. This document is then attached to an email which you send to the number which you dial had you been using a traditional fax machine. The extension of the email will be the name of the internet faxing service that you are using. This document is then transmitted by the fax service company and is translated into a language that a traditional fax machine can read if your recipient is using a traditional fax machine or it is sent directly to their email if they are also using online services. Receiving a fax through online faxing services is just as simple; the sender sends the fax like they would a fax to any other machine. The transmitting is done behind the scenes and you receive your fax as an email notification like you would any other email. The document will look like an attachment that you simply open, read, and print as you see fit. Online fax services provide numerous benefits to businesses, aside from the fact that the need for a fax machine is no longer valid. What a wonderful feeling it is to have free space where a bulky fax machine once sat. You do not have to worry about having space for it, maintaining it, and ensuring any privacy when a fax comes through. Every employee can have access to their personal faxes without the worry of anyone else seeing them – that in itself is benefit enough to switch over to online faxing. Perhaps one of the most cumbersome factors of a fax machine is the lack of privacy it allows. If you have a fax coming through of private nature, you could stand at that machine for what seems like hours when you think it should be coming through. Even with the presence of a fax cover sheet (marked confidential), the possibility of the information being seen is still very large, especially if the faxes sit on a machine overnight, who knows who is going to see them when they come into the office? With online fax services you are able to assign every employee in the office their own fax number if you need or one fax number per department; however you see fit, it is possible. The numbers are directly associated with each individual’s email address, which means the fax is sent directly to the person that it belongs to rather than sitting on a fax machine in a general area for everyone to see. Paper can be a headache in offices as it causes clutter, can get misplaced and is not environmentally friendly. When you use paper to create a fax cover sheet along with the fax itself, you are wasting paper. Even if you recycle the papers when you are finished, it is still taking up space and time in your office. With online faxing, you eliminate the use of paper altogether in some cases. Certain programs enable you to receive faxes, digitally sign them and send them back – you never use a piece of paper! Even if you do need to print a fax, you will only print the papers you need and will use. This eliminates the risk of wasting paper, which in the end saves you money as your supply costs will be lowered. 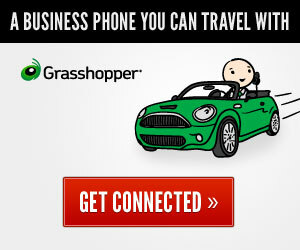 Business today is done on-the-go; not too many employees sit idle in their office anymore. Whether you have employees that work from home, work on the road, or are just constantly out at meetings, online fax services can help them to have access to important documents wherever they may be. The days of calling into the office to find out if a fax arrived and asking for the details on it are gone – now you can access your faxes through your email, whether on your home computer, phone, or tablet. This means that even when you are away from the office, you can have access to important documents making it easy to close a sale, sign important documents, or receive information that is crucial to the task you are working on at any given moment. Owning a fax machine not only takes up room, but takes up time when it needs to be maintained. In addition, fax machines need ink, toner, and certain parts replaced periodically in order to keep it in good working condition. What good is a fax machine that does not work? This means that you have to spend money on the supplies as well as the labor to have it fixed or maintained. While you may be able to do some of the maintenance yourself, such as changing the ink or toner, other maintenance or repairs might need to be performed by a professional, which means spending more money on your fax machine. Online fax services are a great way to get your office organized, efficient, and profitable. It might not seem like a large savings, but when you figure out the amount of time and money you will save on parts, the savings can be large. Stop to think how often you actually end up faxing documents and if you would benefit from having those same documents available in digital format. The process is simple and secure, enabling you to have the same documents you would receive on a fax machine, but in your email instead. The portability and convenience of emailed faxes is hard to surpass, which is why many companies are turning to this method in order to streamline their services.